NAMES Secretariat Office is accepting proposals to host NAMES 2020 Biennial Conference; NAMES Members wishing to host the conference are invited to submit their proposals* to namesnetwork@bibalex.org, by no later than Tuesday, 30 April 2019. 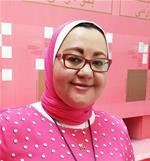 NAMES Biennial Conferences are a great platform to foster exchange and cooperation between science communicators in general, science centers and museums staff in particular, from all over the world, with the aim of benefiting from collective experiences. Networking and collaboration are necessary to enhance the outcomes of this dynamic and ever-changing field, which in turn is necessary for the popularization of science and technology. *Kindly review the Hosting Guidelines and Procedures carefully. EMME 2019: Stay Tuned for the Super New Program! Hosted by The Scientific Center of Kuwait, 27-31 October, EMME 2019 will be offering a new, more cohesive format for the training program. The 4th EMME edition will be “Project-Based”; all sessions will be feeding into a “take away plan of action” that combines all relevant disciplines. The Summer School promises to be fun, educational, and stimulating for each participant; each module will address the Learn, Develop, Apply, and Sustain (L.D.A.S.) model. Upon the conclusion of 5 exciting days, attendees will go back home to apply the skills and tools learnt in creating and setting up projects to help build and develop their home institutions. EMME 2019 targets professionals from science centers, science museums, and other science engagement organizations who have aspiration, ability, engagement, and agility to learn and grow, and who are focused on taking their team and organization to the next level of learning, growth, and relevancy. This training seeks to develop field professionals from different disciplines in all areas of science center/museum and science engagement organizations management. Whether they specialize in programs or exhibits development, education, marketing, or finance, employees will find the training particularly helpful for their careers and success as potential science center leaders. This top quality training for science communication professionals is an opportunity not to be missed, so stay tuned to learn more about the program, details of which will be disclosed within the coming weeks. Spring is here and energies are rising! Here at NAMES Secretariat Office, we are working intently on our website upgrading for better visibility and communication, as well as the launch of our new online resources section, ALDALEEL, which will include original, adapted, and translated contents from our region and beyond. Moreover, NAMES is working on enhancing the capacity building opportunities offered within the NAMES family; NAMES members should expect opportunities for exchange training and internship programs very soon. 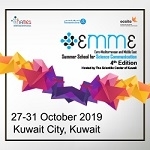 Looking ahead, NAMES Members and science communication professionals in the region should start planning for EMME 2019, 27-31 October, which will be hosted by The Scientific Center of Kuwait (TSCK), one of the first science centers operating in the Middle East, with more than 20 years of experience. EMME 2019 will be offering a new, more cohesive format; it will be “Project-Based” and all sessions will be feeding into a “take away plan of action” combining relevant disciplines. EMME trainers will be experts from leading European and Middle-Eastern science engagement organizations with a long-standing practice. As an ongoing collaboration between the Ecsite and NAMES networks and a group of their members, EMME provides an opportunity for meaningful networking between professionals; it is an optimal opportunity to exchange knowledge and expertise in a stimulating and educational environment. By the beginning of summer, in addition to announcing the final EMME 2019 Program, we will be launching the Call for Applications for the 3rd edition of the Mijbil Almutawa Award, the winner of which will be attending the EMME Summer School in Kuwait. Other news to expect from us during the summer include information about our upcoming Biennial Conference, NAMES 2020. Institutions interested in hosting the conference have until 30 April 2019 to submit their Hosting Proposals; please check details here. We wish you a great and energetic spring and look forward to sharing with you great news from our side soon, so stay tuned. During the sessions, students work together to find creative solutions to daily problems with limited resources. In addition to learning about design thinking and acquiring an understanding of engineering concepts, the students grasp the values of teamwork and creativity; a combination that allows them to develop their problem-solving skills and turn limited resources into creative tools. The participants are very curious during the challenging sessions and interact enthusiastically with the activities, demanding those types of challenges.